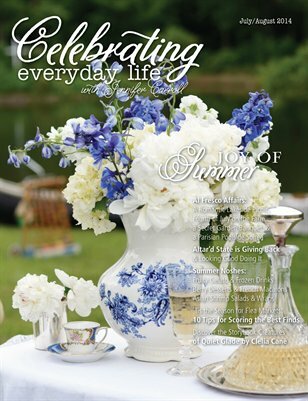 Welcome July & August with festive table settings that celebrate all things summer. Step onto welcoming porches, peek inside beautiful homes, sample delicious recipes and try new crafts. Let’s celebrate America’s birthday with creative baking and entertaining ideas, or stroll into an enchanted secret garden. There’s so much to discover in this issue! Happy Celebrating!